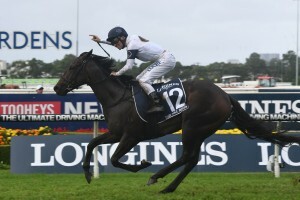 She Will Reign is the 2017 Golden Slipper winner after producing a big turn of foot in the final straight at Rosehill Gardens to win the feature race by close to three lengths. 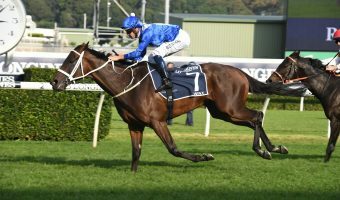 Punters all but abandoned She Will Reign in 2017 Golden Slipper betting markets after she drew barrier 11, but the filly did her chances of success no harm when jumping well and taking a position within the field as Houtzen, Teaspoon and Trapeze Artist set the early tempo. 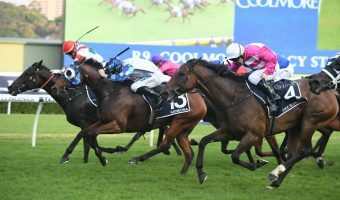 She Will Reign relished the wet track and experienced a carefree run in transit as Houtzen ensured plenty of two-year-olds were off the bit by the time the field began to straighten. Allowing the daughter of Manhattan Rain plenty of time to balance before asking for an extra effort, jockey Ben Melham was greeted with a huge turn of foot with 250m to run as She Will Reign found the lead and extended to the line to beat an impressive Frolic by three lengths; Menari running on for third but losing to Tulip on protest. Trainer Gary Portelli was ecstatic after the race, but was quick to put all the praise on She Will Reign’s impressive ability and a smart ride by Melham. “This game has taken me a long way,” Portelli said after the race. “I struggled to get through year 10, I was a battler working the night shift in a bakery and my dream was to become a city trainer. “It just goes to show to anyone out there who doesn’t know what they’re doing in life that if you like something, just stick at it and work hard and days like this might come. “It’s a great kick along for us. We’ve been trying to win this race for a long time and I think I’m going to need to watch a replay. “I’m glad she ran last start on the heavy track, because she flew through it today. Different tracks Randwick and Rosehill too I think. “It was an absolute peach of a ride. I told him to go out quick, get across because I thought that was the way to go today, and he looked at me and went quiet. He said he’d rather go back and ride her the same way he did in the Silver Slipper. 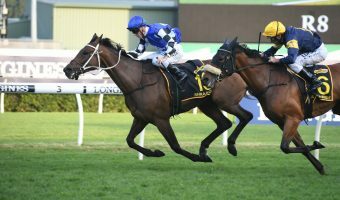 Melham delivered a gem of a ride aboard She Will Reign to win the Golden Slipper and was thrilled to ride his first major winner. “It’s an incredible feeling. 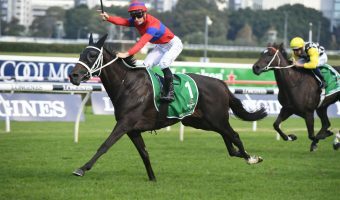 I’ve won a few Group 1s now but this is my first major and I actually had to pinch myself going across the line,” Melham said. “She’s an exceptional filly, she’s a little sweetheart and she really made my job easy. “I had a plan to stick to the rail and I walked the track a couple of races ago and it was terrible everywhere. “When I came onto the back of Houtzen coming around the corner I thought that it was all over from there. 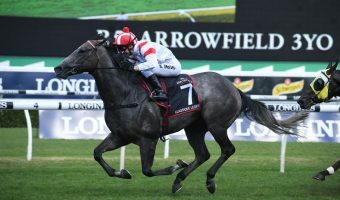 Punters who backed She Will Reign in the Enhanced Odds market at Ladbrokes.com.au have been paid out on $11 odds!